AS the first families step through the door, they’re met with the lip-smacking smell of honey-glazed chicken being cooked. The tiniest children start playing with toys on the playmat, while their brothers and sisters colour in pictures, and their parents grab a coffee. In a few moments, they’ll all sit down for a hearty cooked meal. Pioneer minister the Rev Tim Watson invites them to think about the emotional and spiritual baggage that weighs them down, as he stuffs symbolic items into a real suitcase. Then everyone is given the chance to write down on a luggage label the issues they’d like God to deal with. Children and adults then tie the labels to a wooden cross in the church. This is Leesland Neighbourhood Church, a brand new congregation that meets at 4.30pm on Sundays in St Faith’s Church, Gosport. Pioneer minister the Rev Tim Watson has been appointed with a brief to create new worshipping communities, and this is the first new congregation he has launched. 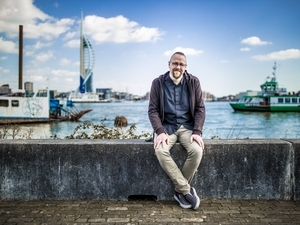 He gathered together a small team from local churches to create the new congregation in February at the tiny mission church in Tribe Road, Gosport. Around 20 or 25 people now get together each Sunday afternoon for an hour or so. It’s designed to appeal to those who might not normally go to church, and the usual format is coffee and chat, followed by a shared meal to build up relationships. Then there’ll be a brief talk or presentation or a shared activity with a spiritual theme. “About half of the people who come have never been to church before, or haven’t been to church for years,” said Tim. “Some of them have links with Leesland schools, or they have family members who attend church, or they just live locally. Becky Knight, who attends with her daughter Eve, said: “I’m actually Roman Catholic, and Eve used to go to church every Sunday morning. But Sunday afternoon is actually more convenient. 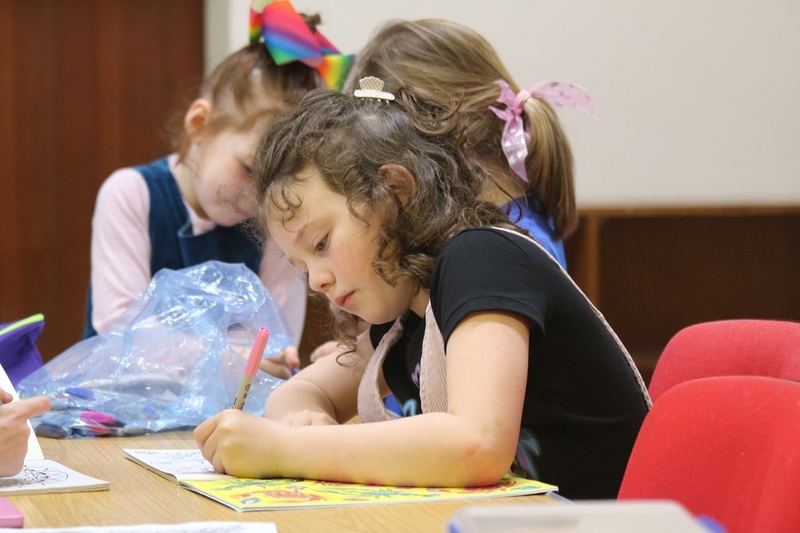 The new congregation has also launched Leesland Bumblebees, a toddler group which meets each Wednesday from 9am to 10:30am at St Faith's Church. 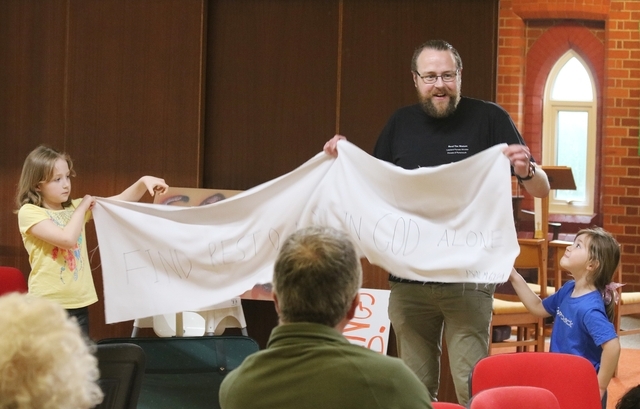 Tim Watson is one of three pioneer ministers appointed by our diocese to help create brand new worshipping communities, using innovative ways for people to engage with God. The other two pioneer minister posts are in Cosham and Leigh Park. 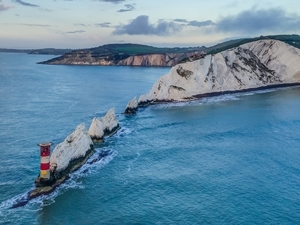 A further new congregation is being launched in Milton, Portsmouth, using a choir for children and young people as the core of the new church. 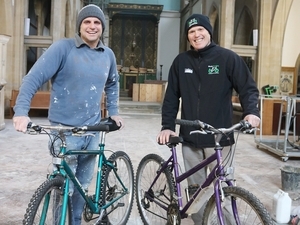 The launch of these new congregations is part of the diocese’s ‘live pray serve’ strategy.